Blue Mountains Adventure Company are abseiling, rock climbing, canyoning, and bushwalking specialists. 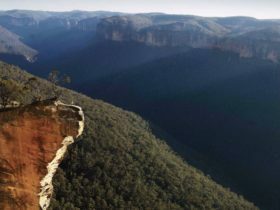 One hundred kilometres west of Sydney lies one of nature’s most magnificent creations, the World Heritage area of the Blue Mountains. 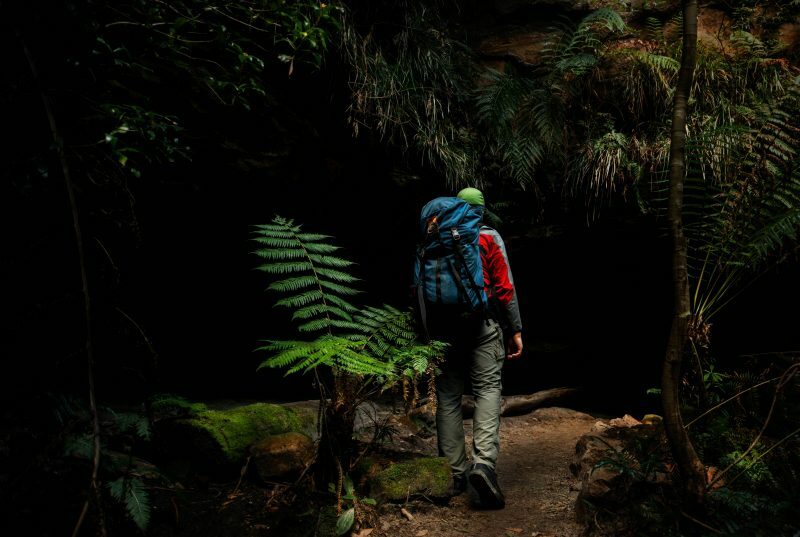 Endless stretches of sandstone cliffs, dramatic waterfalls and hidden canyons, offer a landscape of stunning natural beauty that provides a fantastic environment for the thrilling outdoor adventure activities on offer – a lifetime’s worth of adventuring is to be had in Sydney’s backyard! 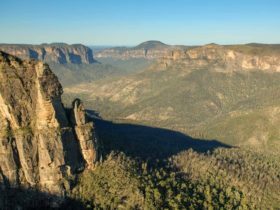 Blue Mountains Adventure Company, based in Katoomba, was established in 1984 and is one of the most experienced, longest serving adventure tour operators in the Blue Mountains. With over 30 years experience, there are courses for all levels – introductory to advanced. Prices include professional guide, all specialist equipment as required for each activity, lunch, drinks, snacks and National Parks entry fee. Get ready for a day like no other you’ve experienced (unless you been canyoning previously). This is a day full of fun in a truly unique setting. You will be geared up in a wetsuit and helmet and be led by expert guides along the canyon floor by either walking, swimming, jumping or sliding depending on the depth of the water. 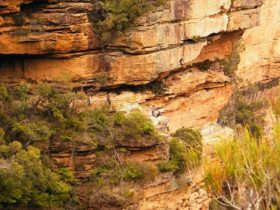 Blue Mountains canyons have been created over thousands of years as the creek gradually erodes areas of soft sandstone leaving high walls on either side, spectacular boulders and creating a natural playground of water slides and jumps. 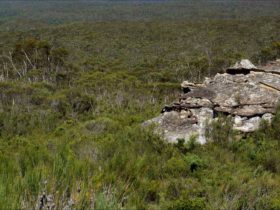 You will also get a tasty picnic lunch and enjoy a pleasant bushwalk to and from the canyon. Canyoning in the Blue Mountains is a real showcase for the natural beauty of the area as well as a whole lot of fun. You will be taken back to a world largely untouched by man that has been shaped by the flow of the creek over thousands of years creating a natural playground of water slides, jumps, swims and abseils. Expert guides will lead you through the day – multiple waterfall abseils, tricky short scrambles, a picnic lunch and always a few surprises. Previous experience is recommended, but not essential. Good fitness is a must! Backpacks, dry bags, abseiling equipment, lunch, National Parks and Wildlife Service (NPWS) entry fee and full length wetsuits are included for all canyons. 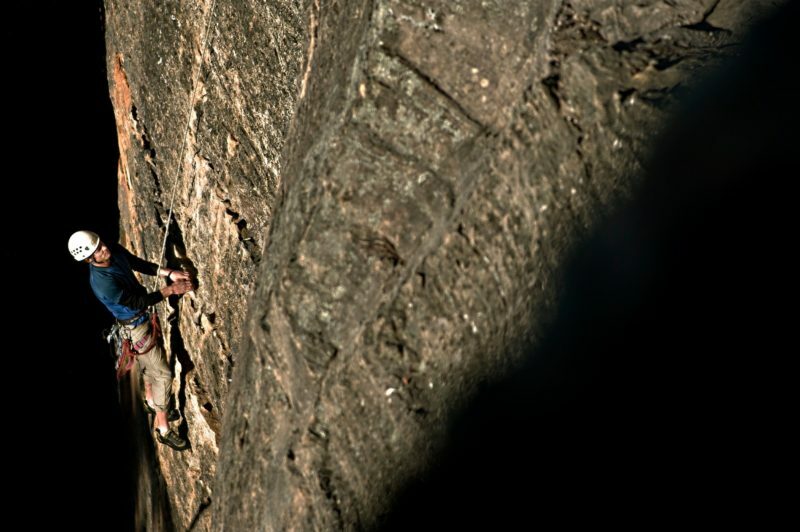 Blue Mountains Adventure Company offers a variety of rock climbing courses to suit all levels of experience. For those who have never tried this exciting sport, there is a one introductory course which focuses on lots of climbing plus technique, cliff safety and belaying. There is also a two day introductory course covering knots, anchors, rigging and more. The intermediate course will take your climbing to the next level and ensure you get the most out of your time in the mountains. Whether you want someone to climb with while your here on holidays, or you want to focus on improving your skills, Blue Mountains Adventure Company guides are here to help! 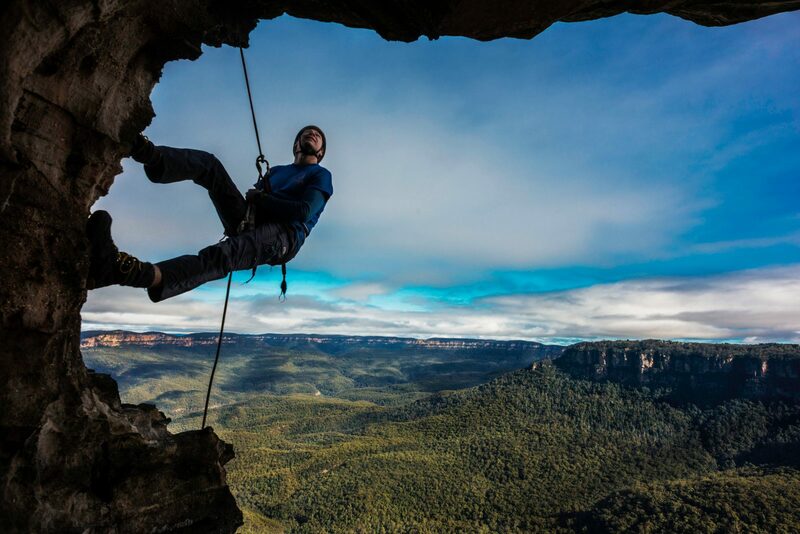 Multi-pitch abseiling expeditions involve descending some of the large cliff lines (approximately 200 metres) of the upper Blue Mountains in a series of stages or ‘pitches’. No experience is necessary but be ready for some exposure to heights. Adventure prices are all inclusive. All the gear you need is provided, entry fees paid, and a delicious lunch on full day adventures. Bring comfortable clothes appropriate to the weather and the activity. When you book, a comprehensive information sheet outlining all the details for the day will be provided, but if you have any specific questions then please don’t hesitate to ask. Blue Mountains Adventure Company thoroughly encourage people to bring and use their own cameras to capture their experience. This is an action packed adventure, combining an abseiling course and canyon trip. You’ll learn the necessary skills to tackle harder and longer canyons. Cover the fundamentals of abseiling in the morning (start small and build up to bigger drops), enjoy lunch and then put your newly acquired skills to use in the canyon. Scrambling, wading, swimming, water jumping and a thrilling abseil await you. The ponding waterfall’s add to the atmosphere! 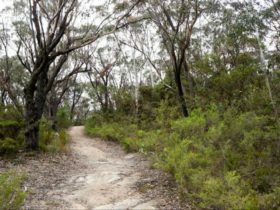 The walk out is on a well formed walking track with magnificent views. Suitable for people with no prior experience in canyoning or abseiling. Participants must be able to swim and have an average fitness level. Tours held any day of the year on demand. Abseiling is a challenging, exciting and fun filled activity which can be enjoyed by anyone, from family groups to serious adrenaline junkies, from young to old. The abseils in this beautiful bush setting include abseils from three metres up to 55 metres. Suitable for people with no prior experience in abseiling. Tours held any day of the year on demand.